A Halloween Treat - Edmonds Dental Prosthetics, Inc.
Edmonds wanted to do something this Halloween… something fun, but meaningful. The result? Have our drivers go “Trick-or-Treating” to the offices on their route to treat for local food banks across Missouri and Northern Arkansas. Thereby, benefiting those in need. We have partnered with a food bank in your community (see list below). Watch for your driver to trick-or-treat during the week of October 29th through November 2nd for nonperishable food items. 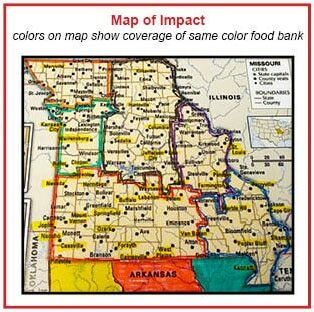 Our goal is to provide each food bank listed below with a hearty supply of food. The food donated by the doctors/staff and Edmonds employees will be delivered to the food bank in each corresponding community. We need your help to make a huge impact. So, please don’t leave your driver empty handed! After the drivers have collected all the food donations, they will deliver the donated items to the various food banks on behalf of you and your staff — just in time for Thanksgiving! We are very excited about this event and we hope you are too! Be sure to check our Facebook page for updates and photos of the food drive.